Objective of this stadium is to provide the world class infrastructure to the game of football, towards promoting it in the State and at National level. The seating capacity of this stadium would be above 2,000 spectators. 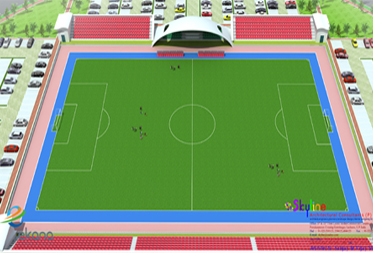 The football ground is being designed in such a way that it would have a synthetic track running around it, therefore organizing any field and track events, apart from football matches would also be possible in the same stadium.